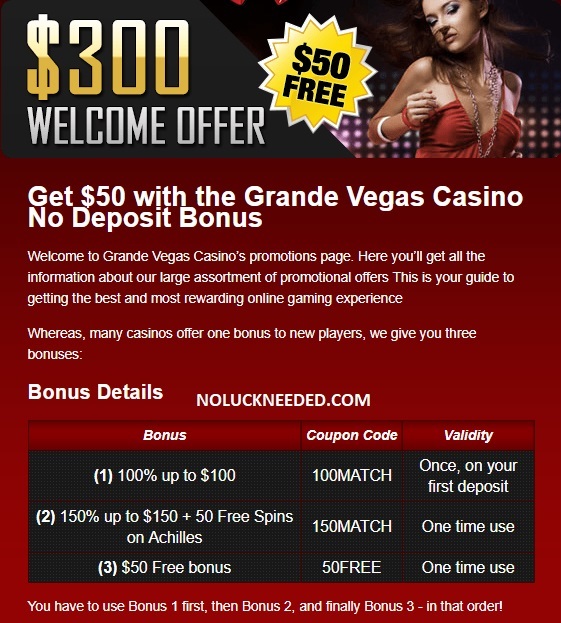 Celebrate Easter with a $250 free chip from Grande Vegas Casino! Everyone with a valid deposit between April 1st and April 21st can redeem the coupon code "EASTER-DOG" on April 21st and get $250 extra. It's that easy. The maximum payout for this bonus is $250. Terms & Conditions apply. This bonus is valid from April 21st until April 26th, 2018. Please share your own Grande Vegas Casino bonus codes in the comment section below. Good luck! Thank you so mucjh for that one!!! Don't forget about the Easter freebie! Use this code tomorrow, April 21st!